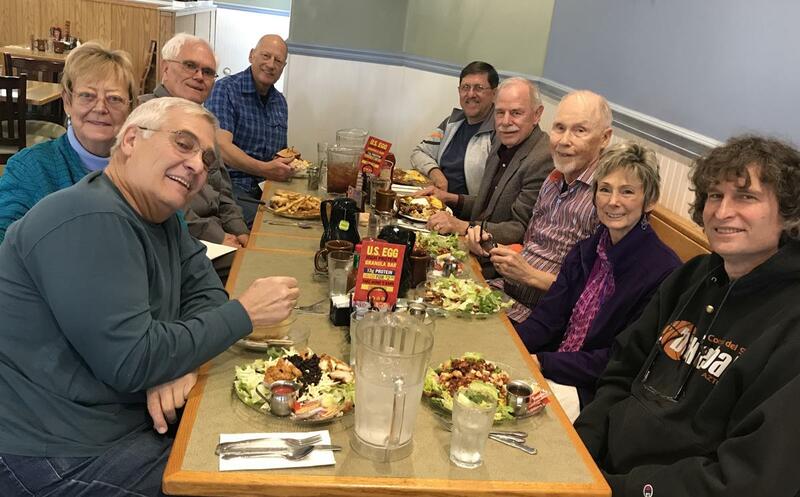 Feb 5, 2019 - After our 4th AWIM meeting of this session, the 9 volunteers and friends of Kyrene Rotary met for lunch and fellowship. The photo shows (clockwise from lower left) Doug, Pat, Bill, Andy, Jim, David, Ken, Skip, and Dave. We are half way through the project and the students are doing very well - many of them truly understand compound gear ratios. Now it's time to put the cars together. Lots of fun.